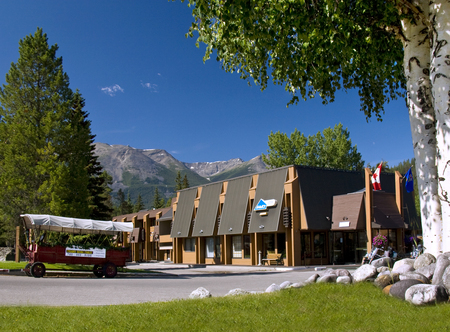 This cosy mountain lodge sits two miles from Lake Annette in the centre of Jasper National Park, close to an impressive array of sparkling lakes and notable sights. Embers Steakhouse is the perfect spot to enjoy mouthwatering fare while the Fireside Lounge provides an excellent place to unwind. Guests can also relax at the health club which offers an indoor pool and hot tubs. Comfortable and welcoming rooms are in a variety of styles, many with fireplaces and upgrade options include those with a kitchen. In standard rooms with TV, tea/coffee maker, fridge, hairdryer and safe. 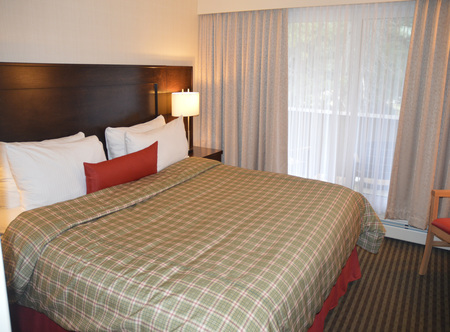 Larger deluxe rooms * rooms with kitchen. A great value mountain getaway.